Inspired by a quilt pattern from 1902, Cog + Wheel hurtles us back to the industrial age with a playfully bold graphic that rolls right on any size bed. 100% cotton, throw/lap size approx 64" x 64. 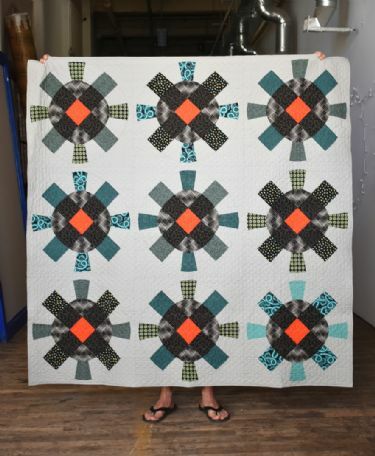 Machine piece and quilted.